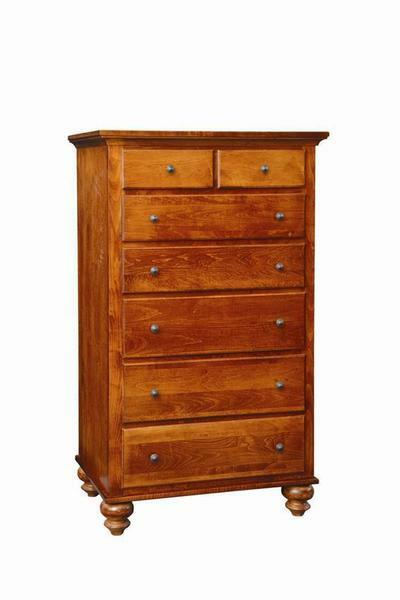 This Amish Gardner Chest of Drawers is perfect for any master bedroom! Beautifully finished in a variety of stain and paint options, this Amish chest of drawers is sure to impress and give you spacious storage in your bedroom suite for many years! Give us a call today at our toll free number - 866-272-6773 if you have any questions or would like to customize this solid wood chest of drawers. We are here for you and want to make sure that you get the Amish made chest of drawers of your dreams!